On November 21, 2014, Sabal Trail Transmission, LLC (“Sabal”) filed its application for authorization necessary to construct, operate, and acquire facilities to move re-vaporized LNG to downstream markets in the United States. The projects are collectively known as the Sabal Trail Project. 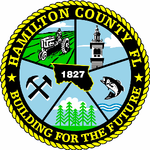 Intervenor is the owner of lands in Hamilton County, Florida which will be impacted by construction and operation of the Sabal interstate pipeline. Accordingly, the Commission’s actions in these proceedings, which relate to the construction and operation of the pipeline, directly and immediately affect Intervenor, and no other party can adequately represent Intervenor’s interests. The Commission, therefore, should allow Intervenor to intervene in these proceedings. WHEREFORE, Intervenor respectfully requests that the Commission GRANT the instant Motion to Intervene. Respectfully submitted December 18, 2014.